Hey Ya’ll! A while ago I posted about how I used math tubs in my classroom. You can read about them here. 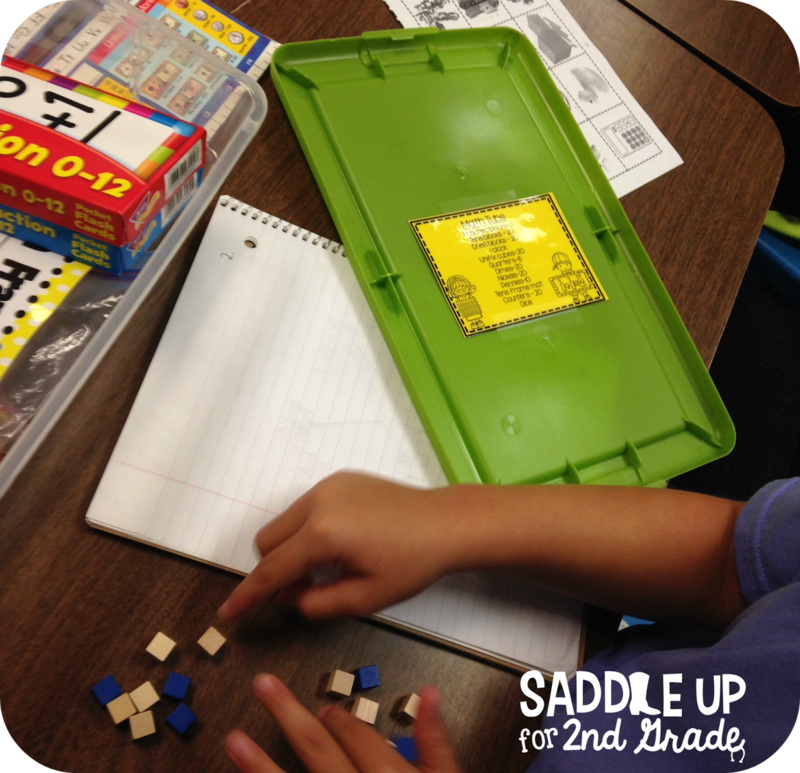 I started using math tubs in my classroom five years ago and they have been a life savor ever since. I bought a class set of plastic shoe box sized containers several years ago to store individual sets of math manipulatives in. Over the years I’ve found that they saved me so much time during my math block because I wasn’t having to prepare manipulatives we were going to use ahead of time and there weren’t any to pass out before a lesson. I did however learn that sometimes different manipulatives would somehow not make it back into a students baggie or into their math tub. Shocking I know! I got tired of having to replace a tens block during the middle of a lesson so last year I made these labels and taped them on the inside lid. They show exactly what should be inside their math tub at all times. 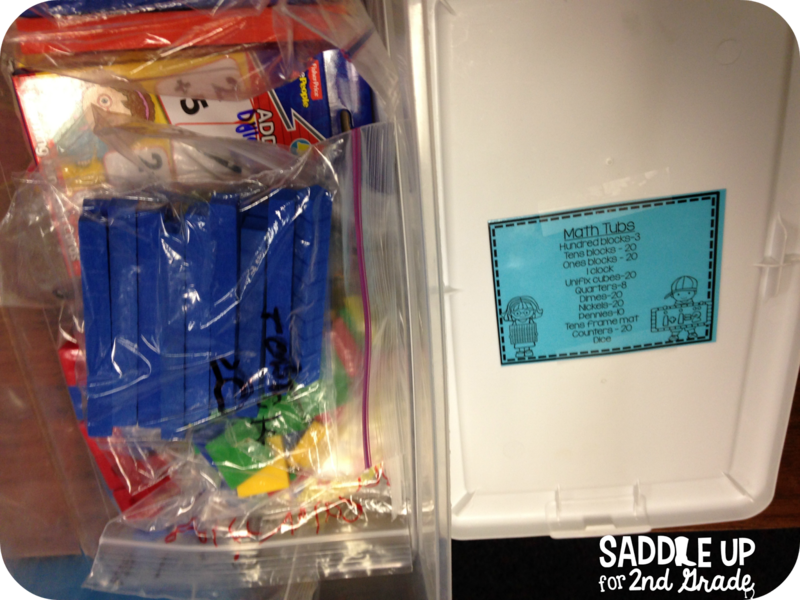 During the first week of school, I always introduce our math tubs and show kids what is inside. As we discuss each one and what we will use it for, we also talk about how many of these they should have in their tub. For example, they need 3 hundreds blocks so I would have them count to make sure they had enough. We would go down the list to make sure everyone had everything they need to start the year off right. Say we are doing a lesson over money and we are using our coins. When it is time to clean up, they know they can look at their label to see how many of each coin should be in their plastic bag. If they are a few pennies short, they know to check the floor and ask their neighbor before they come to me. It helps them with responsibility and holds the accountable for what is inside their tub. Since each child is in charge of their own math tub, it takes a lot of prep off of my hands. 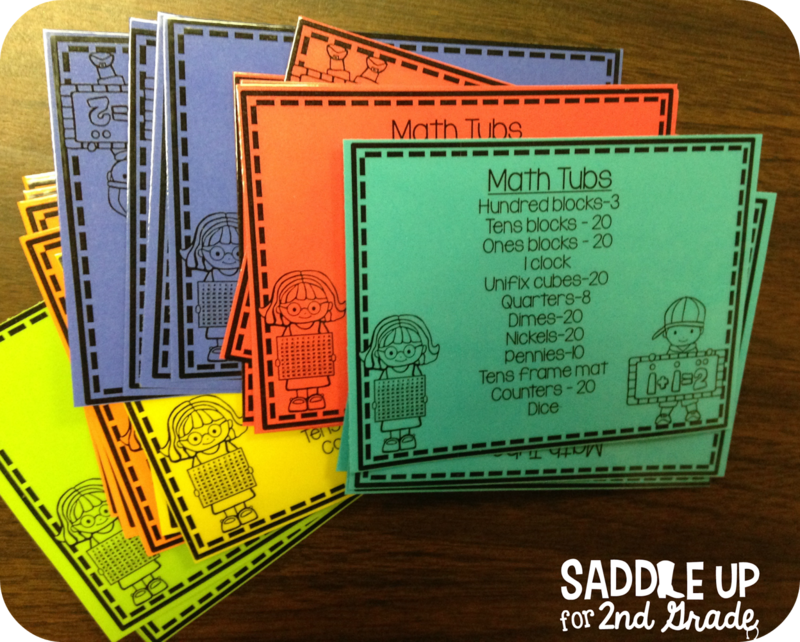 If you’re interested in creating your own math tubs, you can grab these math tub labels here for FREE! I’ve had mine created for several years but you could turn this into a lesson an have your students create their own tub. They are easy to set up but can be a little time consuming so why not have them help?! ?